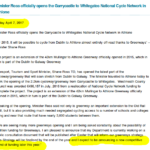 Good to highlight this further inconsistency in Shane Ross statements! 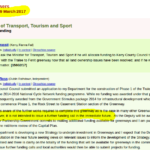 At this point of low level funding for cycling projects it needs to be clear exactly what is proposed. I hope John Brassil will continue to ask questions!